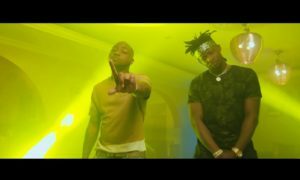 Made Men Music Group‘s Selebobo premieres the music video for his charting single “Waka Waka”; which features Davido. The groovy mid-tempo banger, gets a visual treatment from Paul Gambit and arrives after the massive success of Yemi Aalade assisted “Conquer”. “Waka Waka” is available on all music stores and platforms. Watch the eye-popping clip below!